The Wealth of Nature proposes a new model of economics based on the integral value of ecology. Building on the foundations of E. F. Schumacher's revolutionary "economics as if people mattered," this book examines the true cost of confusing money with wealth. By analyzing the mistakes of contemporary economics, it shows how an economy centered on natural capital—the raw materials that support human life—can move our society toward a more productive relationship with the planet that sustains us all. Profoundly insightful and impeccably argued, this book is required reading for anyone interested in the intersection of the environment and the economy as we enter the twilight of the Age of Abundance. 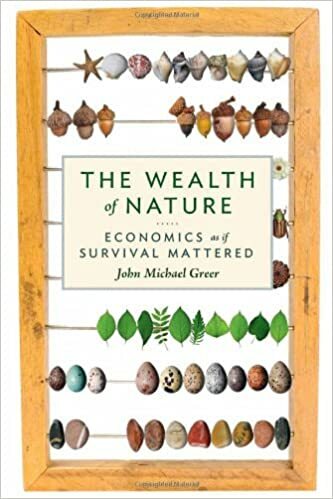 John Michael Greer is a scholar of ecological history, an award-winning author, and an internationally renowned peak oil theorist whose blog The Archdruid Report has become one of the most widely cited online resources dealing with the future of industrial society.